01.) We have had a deluge of rain these past few days which resulted in a cancelled soccer practice earlier this week and a cancelled game today, much to Annelise's dismay. The Shipley donuts we had this morning helped to brighten her mood. 02.) I know the donuts pretty much cancel out my workouts, like ordering a Diet Coke and a pizza, but it's our Saturday tradition. We don't get that many like we used to (hey, progress! ), just one each, okay, and donut holes, because cute and tasty. 03.) Annelise had achievement testing this week (not the mandated state tests, but still...). She liked it mainly because she got to bring a blanket and book, have snacks and bigger breakfasts. Eggs!! 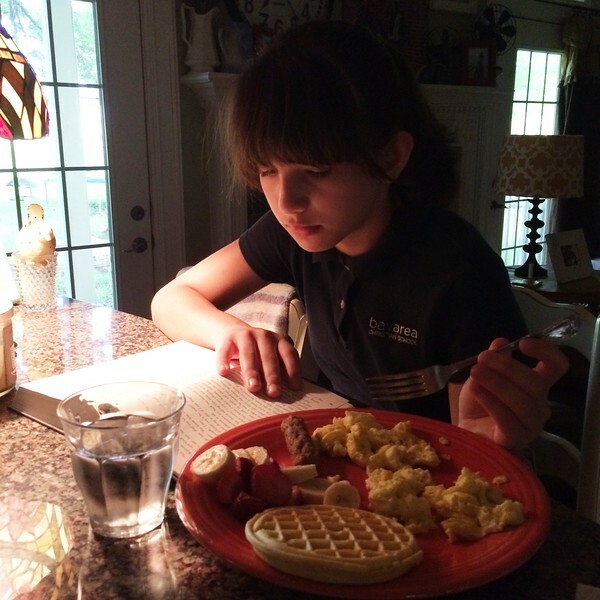 Reading + eating = bliss. 05.) 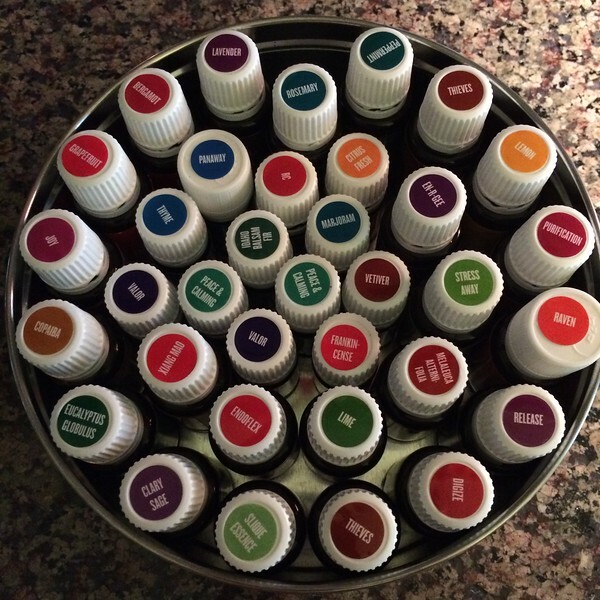 I'm using several of my oils every single day, for my skin and hormonal issues and I'm so glad to have others on hand when needed, like for headaches, allergies, colds or digestion issues. 06.) 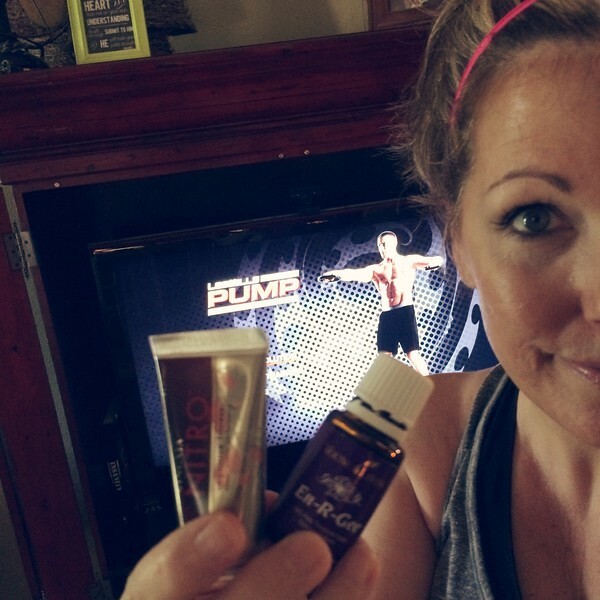 Yesterday I tried Ningxia Red Nitro for the first time before my Les Mills Pump workout. It's a little tube of energy goodness! I don't think I will use it before every workout but I was planning on doing Pump and T25 for cardio so it seemed like the perfect time to try it out. I also put some En-R-Gee on the bottoms of my feet (one of the fastest ways to get the oils into your system) for an extra boost. Maybe it's all a placebo but I think I had a little more oomph. I managed to get in five, count them 5, workouts this past week, which feels awesome. Today is a double down day with T25 (one day a week you're supposed to do two 25 minute workouts, whee) and I'm scared but also excited because Beta is really, really a lot of sweaty fun. Some of it is crazy challenging for sure but the good news is it's only 25 minutes!